Researchers are studying soccer player's quick recovery from injury. 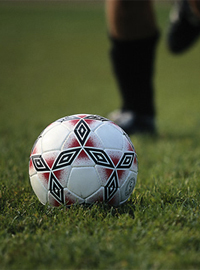 To conduct the research, physicians will monitor soccer players during a competitive game. When a soccer player is hurt data will be collected on the soccer player’s body’s reaction to the injury and the recovery process. While many sports have athletes that suffer injuries during a game, with some even continuing to play after an injury, soccer players in general often have little to no lasting impact to their injuries. Researchers have noticed already noticed that there may be a link between healing and the display of certain colors, specifically red and yellow. If researchers can replicate soccer player’s healing ability in non-soccer players, healthcare may be changed forever.